As an MSU fan I hear constant complaining about the Adidas uniforms. I don’t think think they’re bad but I’m obviously in the minority. We all see what Oregon has done with uniforms over the years. Even schools like Maryland have made big national splashes with unique threads. If you thought the jersey’s were bad, prepare to gag. 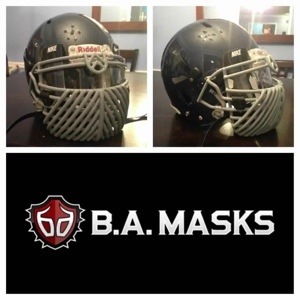 A new company called “BadAss Mask” is now designing team specific face mask. I think they are absolutely atrocious but I’ve seen them getting some love. 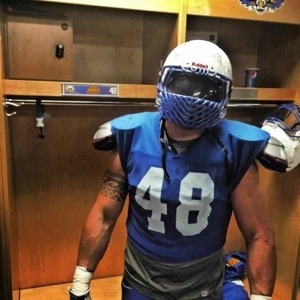 I’m sure the party line “but the recruits love them…” will be the sticking point that will undoubtedly lead to some programs using this new uniform accessorizing add on. Ugh, cough, gag.